Eating clean is very important to living a healthy lifestyle. So many foods are processed these days and grown with pesticides. This can lead to diseases, low energy, and an all-around unhealthy life. What you put in your body is important, and you want to make sure it’s nutrient rich and good for your body. 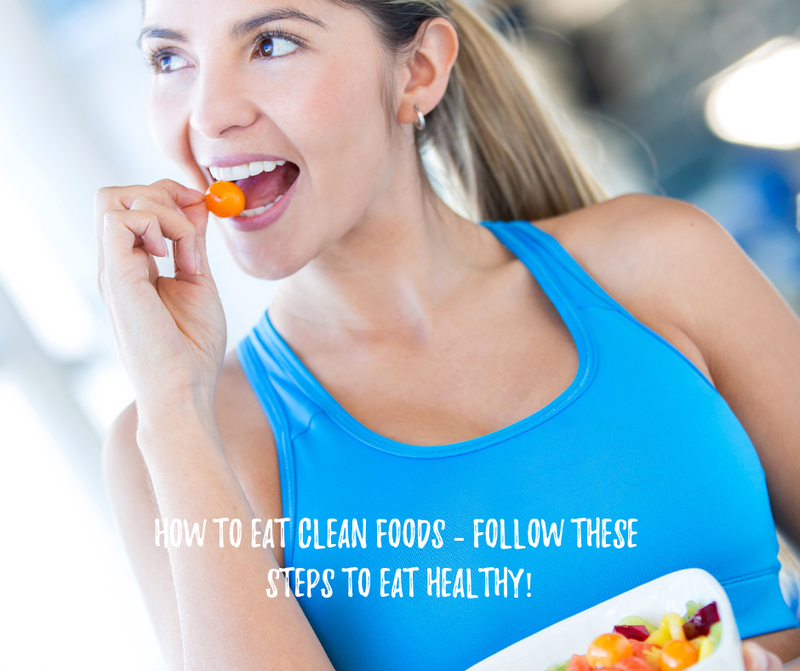 Here is a step-by-step guide on how to eat clean foods. Locate a product you’re interested in purchasing. This can be online or at a local grocery store. Check out the ingredients. Any ingredients you can’t read is usually a bad sign. Another rule of thumb is if there are more than 5 ingredients that’s usually a bad sign too. Go to the website https://www.ewg.org/foodscores and search for your food in the database. A rating of 1 is great, while a rating of 10 is terrible. If your food is rates a 1 or 2 go ahead and enjoy! This means your food doesn’t have processing concerns, nutrient concerns, or ingredient concerns. If you want to eat even cleaner, then stick with foods that are only rated a 1. These steps are super simple and will help you eat clean and healthy. This way your body will be happy, and so will you! Every time you are questioning your food choices, follow these steps to know what’s good and bad. Are you interested in self-help books for anxiety? Check out this article here! By KatyIn Lady and a BlogTagged guide to clean eating, how to eat clean foods, list foods that are healthy, organic products list8 Comments on How to Eat Clean Foods – Follow these steps to eat healthy! 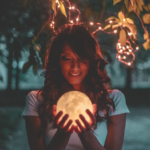 Previous Previous post: Cool Things to Buy from Amazon – Add a little fun to your life! 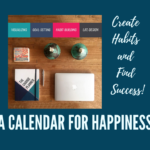 Next Next post: Calendar for Happiness – A Planner that Motivates! Yes, the steps are so easy once you know them. Happy I could help! Hi! Yeah, eating clean is so important! And I must thank you very much for these tip. Above all, I’m grateful for the link to the ewg (Step two). I’ll be checking quite a few foods. It’s quite simple, just choosing foods that are rated with 1 or 2. I think it’s great to have this database. Thank you very much! Happy I could help you out! That was really a great read. I had no idea about this website for checking our food before buying. I wonder if they have an app for iphone? Many times I struggle to make time to read the labels and make sure that everything I eat is all natural and free of synthetic ingredients. My budget is usually the culprit plus I am a creature of habit. The video you provided was very informational and I was able to go to the website to look up what they are about. I personally like doing research on products and have done several for health supplements, which is a highly unregulated industry. Many synthetic ingredients are thrown into proprietary blends, which allows the manufacturers to save money. I found a website that rates many of the most popular supplements called the Clean Label Project. They basically rated the best and worst ones among all of the popular name brands. It was pretty surprising to see that some of them were on the bad list and contained certain amounts of lead and other toxins taken in during their manufacturing process. I wanted to thank you for explaining the benefits of this great resource. I would also include some of these links within the article to link to the source. I like the design of your blog and look forward to your future content. Happy I could help make your life easier! There is an app it can be found here: https://www.ewg.org/apps/ The app is great because you can take it with you when you’re at the grocery store. There are so many foods that people think are healthy, but aren’t. I’m glad this article has helped you out! I looked up the link you share is very useful! I am putting it as my favorite now. It also has an app on my phone very convenient. It is so tricky nowadays to eat clean. These food producers know how to trick you into eating something that you think is healthy but it is not. Maybe it is but is full of pesticides. I usually buy my grocery at the farmer’s market. I always read where it is from as well also the label. Thanks for sharing the tips! Yes, eating clean these days is a challenge. So many things seem healthy that aren’t. Glad I could help you out!